Desmond joined our trekking herd in 2018. 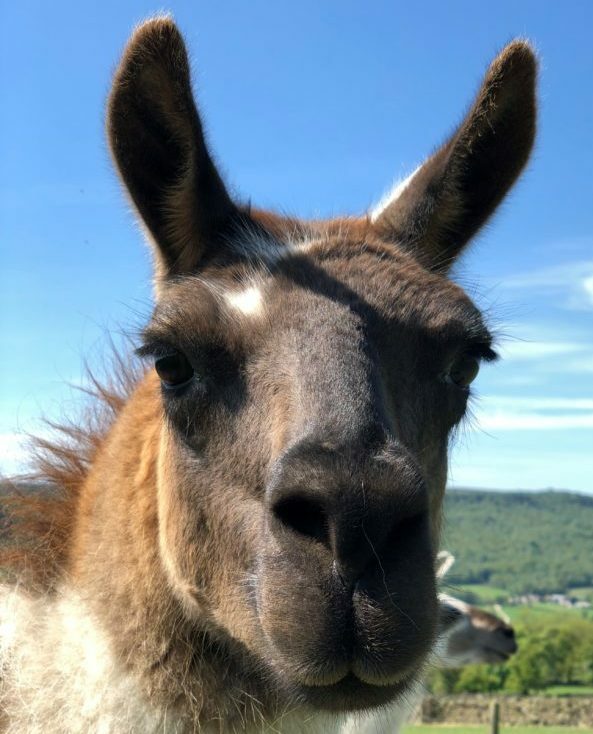 He is our biggest llama on the farm, but although he appears to be a giant, he has such a gentle loving nature. Desmond enjoys his trekking and is generally a very calm nature and nothing much phases him. Desmond is best friends with his brother Billie, and if they are both on the same trek, you will find them having a little natter to each other. He’s a protective big brother who likes to make sure he little bro is okay! Desmond is happy to trek out with most kinds of people, however he is a big boy who does have some strength behind him if he is in a greedy mood that day.